First Farm in the Valley. 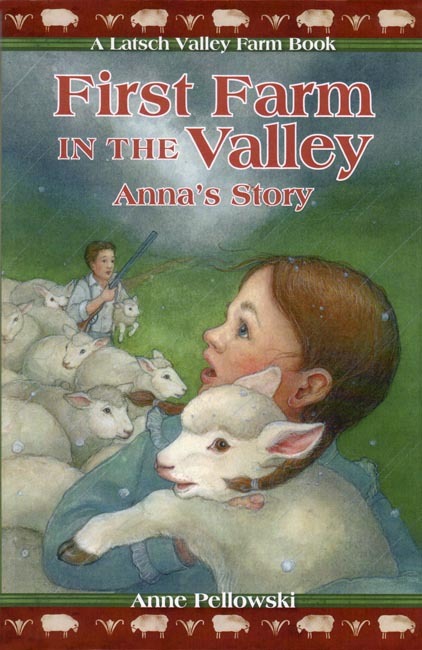 (This is Book 1 in the Latsch Valley Farm Book Series). Six-year-old Anna Pellowski's older siblings, Jacob, Franciszek, Barney, Mary and Pauline, are exposed to English at school, but only Polish is spoken at home. The younger children - Anna, Julian, and Anton - barely know a word of their new country's language, but then neither do many of their neighbors. When the family goes to town to celebrate the 100th birthday of the United States, the speaker gives his speech in a mix of German, Polish, Bohemian and Norwegian! Some years before, in the mid 1800s, Anna's mother, father and brother Baby Jacob, had come from Poland to live in a tiny sod house in Western Wisconsin and establish the very first farm in the entire Latsch Valley. Now the growing family lives in a real house, with neighbors on every side, and the world for quietly curious Anna is filled with fascinating possibilities - as well as lots of hard work. Sometimes she dreams of going back to the Poland she is always hearing about, but increasingly she realizes that life in Latsch Valley, with its rich cultural rhythm of work, play and religious faith, holds everything she could possibly want. Dimensions: 5.5 x 8.5 inches. Soft cover. 194 pp.